Whinfield Coke Ovens are a rare example of intact beehive coke ovens. The remaining Whinfield beehive coke ovens survive particularly well and represent a rare example of intact beehive ovens, a design pioneered within the Durham coalfield. The ovens includes many original features which illustrate the technology employed in a large scale commercial coke works from the mid-19th century to the late 1950s. They were still in operation until 1958. Whinfield Coke Works was a large industrial complex located near Rowlands Gill in Tyne and Wear, North East England. The complex comprised a coking plant, power station and alloy factory. Waste heat from the plant provided heat for a power station. This was later converted to generate electricity by burning coke. The Power Station was built in 1896 to utilise waste heat from the coke works. The waste heat was used to make steam which powered generators and produced electricity. Initially the electricity powered the Victoria Garesfield Colliery and lit the coke works. In 1902 the station began providing electricity to light the villages of Victoria Garesfield, Highfield, Barlow and Rowlands Gill. This station used Babcock & Wilcox boilers, which burned coke instead of just using waste heat from the works. Its generating capacity was larger than that of the Dunston A power station. The station had further surplus electricity, which was used in an alloy factory adjacent to the coke works. The Newcastle Alloy Company opened in 1909 producing ferro alloys such as ferrosilicon, ferromolybdenum, ferrotungsten and ferrochrome. Because ferrochrome was an important ingredient in the manufacture of armoured steel and Whinfield was the only manufacturer of this alloy in England, the factory was extended during World War I. But let’s talk about coal. Coke is made from coal and coal has been mined in England since Roman times. Up to 10,000 coal industry sites of various sizes are estimated to survive in England, bu only 304 coal industry sites, have been identified as being of national importance. This selection is designed to represent the industry’s chronological depth, technological breadth and regional diversity. Coking is the process by which coal is heated or part burnt to remove volatile impurities and leave lumps of carbon known as coke. 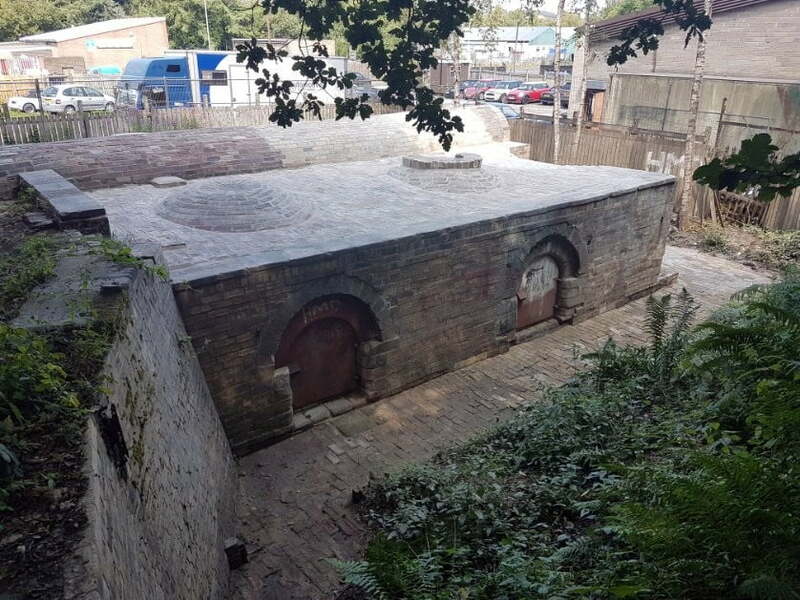 Originally this was conducted in open heaps, sometimes arranged on stone bases, but from the mid- 18th century purpose built ovens were employed. By the mid-19th century two main forms of coking oven had developed, the beehive and long oven, which are thought to have been operationally similar, differing only in shape. Coke ovens were typically built as long banks with many tens of ovens arranged in single or back to back rows, although stand alone ovens and short banks are also known. They typically survive as stone or brick structures, but earth- covered examples also exist. Later examples may also include remains of associated chimneys, condensers and tanks used to collect by-products. Coke ovens are most frequently found directly associated with coal mining sites, although they also occur at ironworks or next to transport features such as canal basins. Coal occurs in significant deposits throughout large parts of England and this has given rise to a variety of coalfields extending from the north of England to the Kent coast. Each region has its own history and characteristic sites range from the small, compact collieries of north Somerset to the large, intensive units of the north east. All surviving pre-1815 ovens are considered to be of national importance and merit protection. The survival of beehive ovens is more common and a selection of the better preserved examples demonstrating the range of organisational layouts and regional spread is considered to merit protection. The Whinfield Coke Ovens have been included in the Built Restoration project of the Land of Oak & Iron Landscape Partnership, a four year Heritage Lottery Funded programme running until 2020. 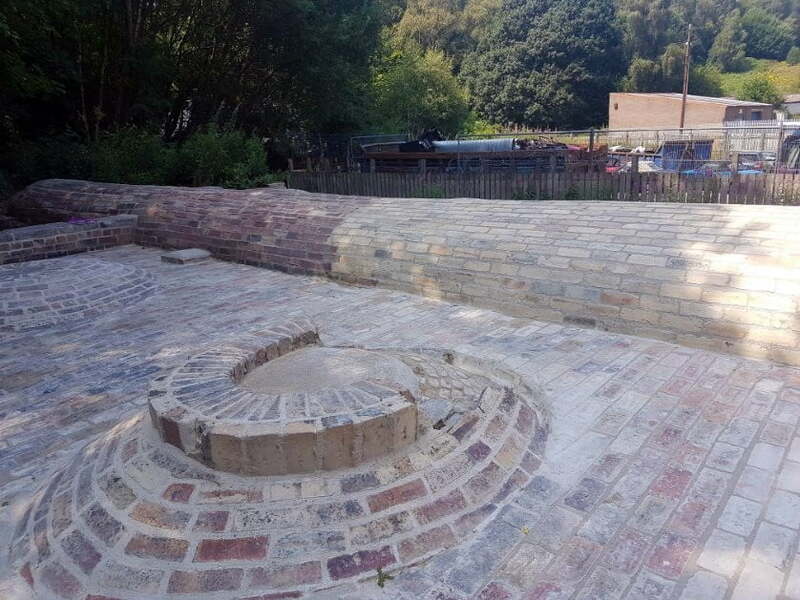 The proposed works will conserve and restore the structure; the long term future of the ovens will be secured by improving access linking the structure to the walking routes through the woodland that is to the rear of the site.